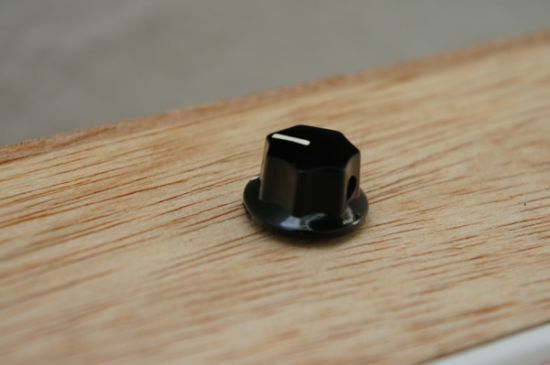 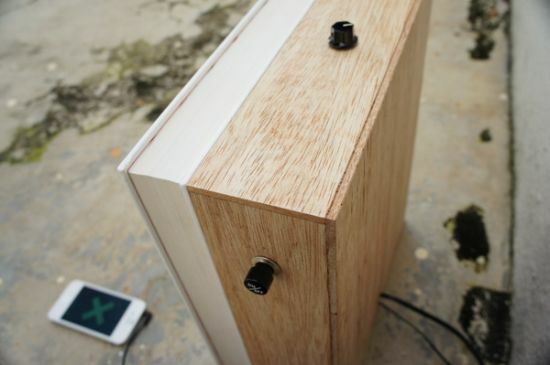 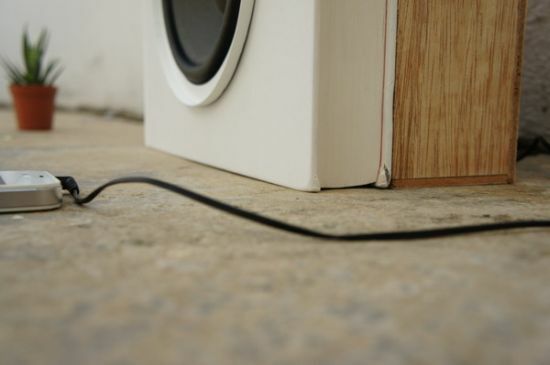 Developed as a part of the Browsing Series project, the “Audio Book” from Foreign Policy is an up-cycled audio system that apart from producing quality sound also helps in sustaining the environment. 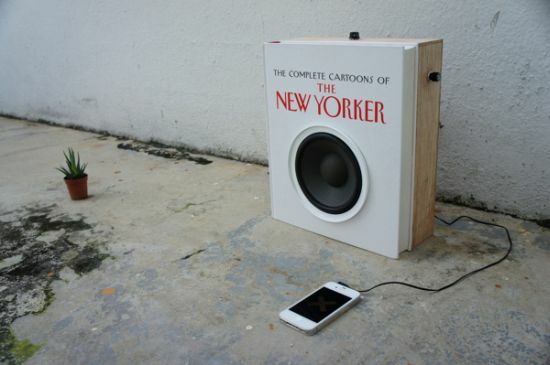 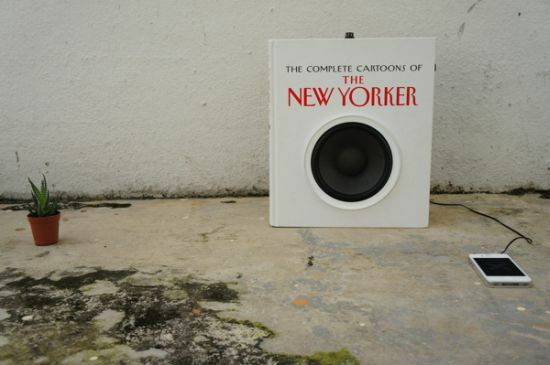 Crafted from a scraped out copy of “The Complete Cartoons of the New Yorker,” attached to a wooden casing, the Audio Book combines the analog with the digital format to create a sustainable audio system. 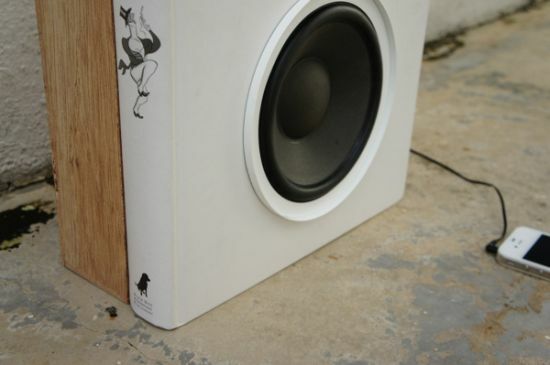 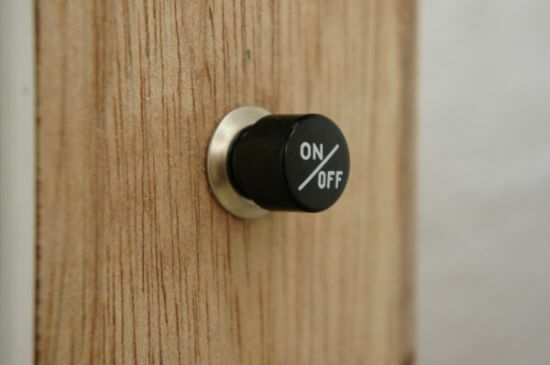 Offering adequate space to nestle a small speaker within, the Audio Book also integrates an on/off switch, together with the volume control. 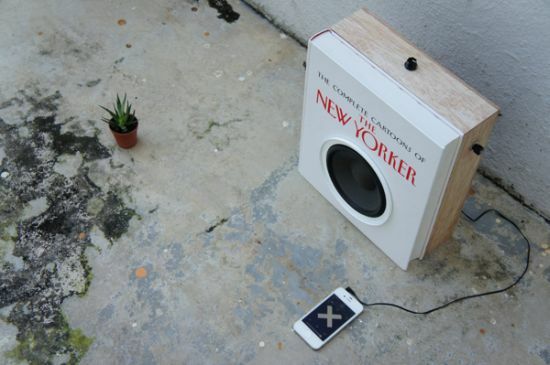 Users can attach their portable devices, such as a mobile phone or portable music player, to the audio system to enjoy an amplified sound. 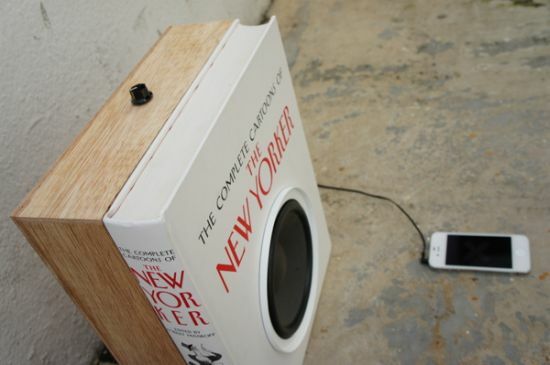 Crafted and assembled with hand using varied books, the Audio Book ranges between $350 and $750.